Home Health billers and collectors are extremely important to agencies thriving in the current challenging environment! Directors, Managers and Supervisors must also know the Medicare HH billing requirements as key players in the agency's financial success and survival. Be the first to be current on all Medicare billing regulations for 2019 & proposed for 2020. If you are part of the revenue cycle in your agency this workshop is a must. 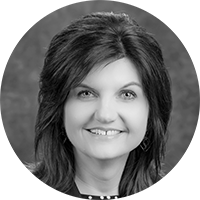 Melinda Gaboury will lay a strong foundation for your home health staff by providing a more effective approach to the Medicare PPS regulation requirements. She will discuss Medicare patient verification, adjacent episode calculations, details - field by field on claim forms and billing updates. Melinda will present on how to effectively audit a pre-bill for final claim purposes, both Medicare and Non-Medicare Payers, and review the details of billing for Non-Routine Supplies using billing guidelines. As we all know, more and more scrutiny of agency records has been taking place in the form or ADR and RAC reviews. This session will outline the current risks and outline steps to manage that risk and include how to utilize PEPPER report data as a risk management tool. CMS has finalized implementation of the Patient Driven Groupings Model (PDGM) in 2020, This workshop will include a session for updating the status of PDGM and what we can expect. Verify Medicare Eligibility of patients and calculate Adjacent Episodes. Complete a RAP and Final Claim. Describe the process for effectively auditing a Chart for purposes of identifying pre-bill issues and Medicare Secondary Payor Issues. Review PDGM and what to is to come.